Hi Blog. The resurgence of Japan’s import labor regime has resumed in earnest, reaching a record at least in the Postwar Era. (Remember that during WWII, Japan’s internal colonial population, as in workers imported from its colonies, was very high; people from the Korean peninsula alone in 1945 were more than two million.) Now as of 2016, the NJ worker total has hit 1 million, according to Reuters below. As much as the article might be trying to attract eyeballs by putting a superlative “record number of” in the headline (and once again sneaking in an angle of hope of actual “immigration” happening), the only change that has happened here is that more NJ are being processed by an exploitative system — one that has by design remained relatively unchanged for nearly three decades, and moreover has been expanded to exploit even more. So many misdirected angles here. Dr. ARUDOU, Debito. The number of foreign workers in Japan surpassed 1 million for the first time last year, as the labor-strapped country struggles to find enough Japanese workers. Slightly over a million foreigners from countries such as China and Vietnam were working here as of October, labor ministry data showed Friday. That was up nearly 20 percent from the previous year and a new record for the fourth straight year. The figures suggest Japan is increasingly turning to overseas workers to plug its labor shortages despite its reluctance to accept them. The country is facing its worst labor crunch since 1991 amid a shrinking and aging population, which has prompted calls from the International Monetary Fund for it to accept more overseas workers to boost economic growth. It also aims to court highly skilled workers from overseas, such as academic researchers, by easing the path to permanent residency. The labor shortage is especially severe in the construction sector, where demand has spiked ahead of the 2020 Tokyo Olympics and for rebuilding following the 2011 Great East Japan Earthquake and tsunami. Over 41,000 laborers from abroad powered the construction industry as of last October, up from around 29,000 the previous year. In November, there were over eight times as many job offers for putting together steel construction frames as there were workers, separate government data showed. Workers from China made up over 30 percent of the foreign labor force, rising 6.9 percent from the previous year. Vietnamese workers were in second place, accounting for around 16 percent of the total foreign workers but up over 50 percent compared to the previous year. A Reuters investigation last year showed how asylum seekers, some of whom are banned from working, are working on public works projects amid a shortage of Japanese construction workers. The trainee system, whose aim is to train foreign workers so they can bring skills back to their home country, is often used by labor-strapped companies to secure workers. The program has been long dogged by cases of labor abuse including illegal overtime and unpaid wages, prompting criticism from Human Rights Watch and the U.S. State Department. Nearly 20 percent of foreign workers were trainees as of last October, labor ministry data showed, rising by over 25 percent from the previous year. Wash Post & BBC: “Japan gets first sumo champion in 19 years”. Really? What oddly racist triumphalism from foreign press! Posted on January 26, 2017 January 26, 2017 by Debito Arudou Ph.D.
TOKYO — After decades of scandals and humiliation at the hands of Mongolian wrestlers, sumo finally has Japanese grand champion again. Kisenosato, a 30-year-old, 385-pound wrestler, was promoted Wednesday to the rank of yokozuna, the first time a Japanese competitor has been elevated to the highest tier in sumo in 19 years. “The position of yokozuna is proof of much hard work and he’ll need to continue to work hard and protect the position like hell,” Nobuyoshi Hakkaku, chairman of the Japan Sumo Association, told reporters when announcing the promotion. Japan’s national sport has been in decline in recent years, partly the result of a generational shift towards sports like baseball, partly because of the health issues associated with the heft needed to wrestle, and partly because of the increasing dominance of foreigners. All three of the current yokozuna, whose ranks Kisenosato now joins, come from Mongolia. Competitors from Brazil, Russia, China and even Hawaii have also been doing well in past years. So Kisenosato electrified Japan at the weekend when he won the New Year Grand Sumo Tournament, recording 14 wins and only one loss. Usually, a wrestler is promoted to yokozuna after winning two tournaments, but the Yokozuna Deliberation Council Monday recommended that Kisenosato be elevated to the top rank after only one victory. The Japan Sumo Association concurred Wednesday, making Kisenosato the first Japanese wrestler to be promoted to grand champion since Wakanohana in 1998. “Kisenosato to end long drought of Japan-born yokozuna,” a headline in the Asahi newspaper declared. “Hopes are rising that this new Japanese yokozuna will reinvigorate the world of sumo,” a writer said in the Nikkei Asian Review. Kisenosato had something of a reputation for fragility, failing to come through high-pressure matches on many occasions. But at the tournament on Sunday, something felt different, he said. Indeed, Kisenosato has set another record: It took him 89 rounds of tournaments to become yokozuna, the slowest record in modern sumo history. And his victory Sunday came only after two Mongolian yokozuna pulled out of the tournament. Some worry that Kisenosato has been promoted too quickly or that rules were bent to allow him to reach grand champion status. Japan has formally named its first home-grown sumo grand champion in almost two decades, in a boost to the traditional wrestling sport. Kisenosato, who comes from Ibaraki to the north of Tokyo and weighs 178kg (392 pounds), has been an ozeki – the second-highest rank – since 2012. After being runner-up on multiple occasions, he finally clinched his first tournament victory – and thereby his promotion to yokozuna – in the first competition of 2017. “I accept with all humility,” Kisenosato said in a press conference after the Japan Sumo Association formally approved him. Japan’s much-loved traditional sport dates back hundreds of years. Two wrestlers face off in an elevated circular ring and try to push each other to the ground or out of the ring. There are six tournaments each year in which each wrestler fights 15 bouts. Wrestlers, who traditionally go by one fighting name, are ranked and the ultimate goal is to become a yokozuna. Many Japanese fans will be pleased to see a local wrestler back at the top of a sport regarded as a cultural icon. As yokuzuna, Kisenosato, whose real name is Yutaka Hagiwara, joins three other wrestlers in sumo’s ultimate rank – Hakuho, Harumafuji and Kakuryu. The trio all come from Mongolia, following a path forged by sumo bad-boy Asashoryu, who was Mongolia’s first yokozuna in 2003. In recent years, sumo has been hit by falling numbers of Japanese recruits, partly because it is seen as a tough, highly regimented life. Young sumo wrestlers train in tightly-knit “stables” where they eat, sleep and practise together and are sometimes subjected to harsh treatment in the belief that it will toughen them up. In 2009, a leading coach was jailed for six years for ordering wrestlers to beat a young trainee who later died, in a case that shocked the nation. Those at the top of the sport are also expected to be role models, showing honour and humility – and can be criticised if they get it wrong. Sumo must also compete with the rising popularity of football and baseball, which have vibrant leagues that draw crowds of young Japanese fans. But the sport is attractive to wrestlers from other nations, who can earn a good living. Wrestlers have come from Estonia, Bulgaria, Georgia, China, Hawaii and Egypt, as well as Mongolia and American Samoa. As a child, Kisenosato was a pitcher in his school’s baseball club before he chose to train as a wrestler at a stable in Tokyo. He made his debut in 2002 and, reported Japan’s Mainichi newspaper, the 73 tournaments he took to become a yokozuna are the most by any wrestler since 1926. Speaking to reporters after the tournament victory on Monday that sealed his elevation, Kisenosato said he was pleased to be holding the Emperor’s Cup trophy at last. Posted on January 18, 2017 by Debito Arudou Ph.D. The face of share house living is changing in Japan as operators are stepping up efforts to meet a variety of needs among residents. COMMENT: From the opening line, we’re set up to see that we’re diversifying qualifications to rent an apartment, which is very welcome given how strict some landlords in Japan can be. Fine, but… look how it’s contextualized in the very next sentence. A two-story share house in a residential area in the western Tokyo city of Chofu allows residents to keep pets. In late November, residents gathered in the 23-sq.-meter living area to share nabe hot pot fare, with their small pet dogs playing around them. The home costs much less than other share houses for residents with pets, said Natsumi Yamada, 37, who moved there with her dog in March. “I now enjoy going to a nearby cafe with my dog,” she said. The house is owned by House-Zoo, which was founded in 2016. The Tokyo-based company currently operates 12 share houses in the capital and Saitama Prefecture, allowing residents to keep up to two small pets, including dogs, cats, birds and rabbits, each. COMMENT: “House-Zoo”, eh? So we’re talking about inter-species relationships, eh? Go on. While share houses that permit residents to keep pets usually charge lease deposits equivalent to several months’ rent, House-Zoo demands a deposit of only ¥30,000. Some 70 people have lived in its share houses. Borderless Japan Corp. in Tokyo operates share houses where Japanese and foreign nationals live roughly on a 50-50 basis, accepting residents between 18 and 35 years of age. The operation began in 2008 as a spinoff from support services for foreign nationals unable to lease rooms partly due to the absence of guarantors. COMMENT: And also partly due to the issue of racist landlords simply unwilling to rent to a foreigner. Because it’s not illegal to refuse accommodations (or entry in general) to foreigners on the basis of nationality or race in Japan. According to the Asahi, 42% of foreign residents in Tokyo’s Shinjuku Ward alone encountered some form of discrimination, and nearly 52% of that was in finding apartments. Racism, not a lack of guarantor, is generally the first slammed door a newcomer NJ faces. How nice of this to be glossed over in the article. The company has 70 “borderless houses” in Tokyo, Saitama, Osaka and Kyoto, having some 5,000 residents. People from the United States, France, Sweden and other Western countries account for a large portion of the residents. COMMENT: This should not be news. “Borderless” houses should be the norm. The fact that they are not the norm should be one focus of this article. Despite residents keeping the houses in order by rotating cleaning duties, problems occasionally occur due to differences in living practices and cultures. Ah the joys of dorm life. Except in many societies, dorm residents don’t put conflicts down to “culture”, and just accept that some individuals are dicks. Nevertheless, non-Japanese residents said they feel welcome thanks to the presence of Japanese friends, while Japanese welcome opportunities to learn differences in values and to improve their foreign language ability. COMMENT: As written that sounds like quite a nice trade off. NJ get put to work enlightening them about their “differences” and teaching them gaikokugo, while Japanese just honor them with their presence. Sounds like a better deal for the Japanese resident. Meanwhile, real estate company Oakhouse manages Social Residence share houses, promoting interaction among residents who offer skills and information in their specialty to other residents through regular events such as cooking lessons. Oakhouse now owns 17 share houses in Tokyo, Chiba, Kanagawa and Saitama, some of which are equipped with studios for yoga, dance and music. COMMENT: Sounds like a lot of work just to be a resident. Remember the age cap of 18-35 mentioned above? Well, this is clearly not a place where people, especially middle-aged professionals, can just live and be left alone. Come back home from a hard day’s work, and there’s still more work to be done? Well, you might say, if you don’t like communal living, then don’t choose to live there. But remember, Japanese have a lot more choice. NJ don’t, in Japan. So it sounds like NJ are being forced to be social in order to live there. Kinda like camp counselors, in charge of keeping the camp kids entertained, except without the power to set the camp agenda. “I have come to enjoy communal life through my experience of traveling abroad,” said Ikuya Yoshizawa, 23, who lives in Oakhouse’s residence in Kodaira, Tokyo. COMMENT: I wonder how a NJ resident feels. Oh, we didn’t get a quote from them. The only residents who count, by the grace of their presence, are the Japanese who need to be stimulated. An article written by a J reporter for a J audience, clearly, with NJ being treated as exotic animals being studied in their imported-native habitat. CONCLUSION: While I think we can assume that these places are run by well-meaning people just trying to put a roof over people’s heads, this article is written without much self-awareness. Especially by couching NJ-friendly housing in the context of pet-friendly housing (“House-Zoo” is a dead giveaway), I think we can infer that the subconscious attitude of the reporter is that foreigners are entertainers there for the pleasure of the Japanese residents. Like a pet cat or a dog. But that’s, again, indicative of a bigger-picture trend. Consider all the tokenism found in Japanese companies (especially during the Kokusaika Era, which I experienced first-hand) in hiring young, genki gaijin to “internationalize” their company, and then putting them to work in temporary, trite, and expendable jobs so that they could give the company smiles but never get promoted to a post with any power. Posted on January 16, 2017 by Debito Arudou Ph.D.
EMBEDDED RACISM: Japan’s Visible Minorities and Racial Discrimination. By Debito Arudou. Lanham: Lexington Books, 2015. xxvi, 349 pp. (Tables, figures.) US$110.00, cloth. ISBN 978-1-4985-1390-6. Arudou’s book is a timely and important contribution to social and scholarly debates about racial discrimination in Japan. It comes on the heels of both the Japanese government’s 2014 official claim that an anti-racial discrimination law is not necessary (third combined report to the United Nations Committee on the Elimination of Racial Discrimination [CERD]), and recent developments in Japan that have politicized the issues of dual nationality and hate speech, and even the Miss Universe Japan pageant. Arudou draws on a quarter-century of research involving personal interviews, action research, and cataloguing, to highlight micro-level observations that illuminate the broader macro-level structural workings of the racialized dimensions of what it means to be “Japanese” in Japan. The contribution of this book is not only in its richness of information, but also in Arudou’s focus on a paradoxical blind spot in both the quotidian status quo understandings of and academic discourses on racialized social dynamics in Japan: the invisibility of visible minorities. Borrowing from Critical Race Theory (CRT), and applying its analytical paradigms present in Whiteness Studies to the case of Japan, Arudou argues that “the same dynamics can be seen in the Japanese example, by substituting ‘White’ with ‘Japanese’” (322-323). He introduces the concept of embedded racism to describe the deeply internalized understandings of “Japaneseness” that structurally permeate the psyche and sociolegal elements of Japanese society, resulting in systemic discriminatory treatments of individuals based on visible differences. Instead of defining the Self/Other binary in oft-conceptualized terms of citizenship, he uses an original Wajin/non-Wajin heuristic. By original Wajin, he refers to visually identifiable “Japanese” who are members of Japan’s dominant and privileged majority, and for non-Wajin he refers to both invisible (e.g., ethnic minorities who can pass as “Japanese”) and visible (Gaijin, foreigners and naturalized Japanese citizens who do not “look Japanese”) minorities who are not members of Japan’s dominant and privileged majority. He uses this heuristic to parse out the nuanced sociolegal-structural logics that differentiate between not only citizens and non-citizens, but also non-citizens who can phenotypically pass as “Japanese” and citizens who cannot, in which the former is often given preferential sociolegal treatment, and the latter is often subject to overt racial discrimination. More specifically, the book opens with a theoretical primer on race and the universal processes of racialization and nation-state formation. The author then critiques how studies on Japan often suffer from flawed conceptualizations of foreignness, viewing it as a function of either ethnic differences within the Asian-phenotype community or legal membership status, thereby overlooking overt discrimination against visible minorities that are racial in nature. The first chapter contextualizes racial discrimination in Japan and explicates Arudou’s usage of the concept of visible minority and his theory of embedded racism in the context of Japan. The second chapter then addresses the historical roots of extant racialized understandings of “Japaneseness” by tracing national self-image narratives that Arudou argues undergird the dynamics of present-day treatments of foreigners in Japan. The next chapter surveys approximately 470 cases of establishments that have engaged in racialized refusals of entry and services and three civil court lawsuits, to demonstrate that “Japaneseness” is determined by racialized paradigms such as physical appearances (37–38). 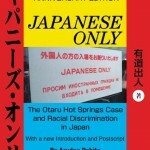 In chapter 4, Arudou explains how Japanese nationality laws, family and resident registries, and policing regulations/practices constitute the legal underpinnings of the racialized “Japanese” identity, and asserts that Japan’s legal definition of a “Japanese citizen” is closely intertwined with “Japanese bloodlines” (11). The following chapter shifts the focus to how “Japaneseness” is enforced through exclusionary education laws, visa (residence status) regimes, and racial profiling in security policing. This chapter is supplemented with chapter 6, which highlights differential judicial treatments of those who are seen as “Japanese,” and those who are not. Chapter 7 details how media representations of “foreigners” and “Japanese” as well as the criminalization of “foreigners” popularize the racialized narratives of “Japaneseness” established by the processes discussed in chapters 4 to 6. Chapter 8 shifts gears as Arudou turns his attention to domestic civil society and international criticisms of Japan’s embedded racism, and discusses the government’s passive reactions. Arudou traces the correspondence between the government and the (CERD) before and during its first two CERD report reviews in 2001 and 2010 (but not the most recent CERD review in 2014). Chapter 9 then takes two binaries that can be used to understand how sociolegal distinctions of “Japaneseness” are often made—by nationality (citizen/non-citizen) and by visual identification (Wajin/Gaijin)—and superimposes them to form a heuristic matrix of eleven categories of “Japanese” and “foreigner.” The author thus drives his point across that social privilege and power in Japan are drawn along lines that straddle conceptual understandings of and assumptions about both legal and phenotypical memberships. The book concludes with a final chapter on the implications of embedded racism for Japan’s future as an ageing society, and argues that Japan’s demographic predicament could be mitigated if Japan can begin eliminating its racism to create a more inclusive society for all. The book does not touch on the voices and local/community advocacy initiatives among and on behalf of visible minorities, and stops short of systematically testing how the proposed heuristic matrix and its combinations of characteristics empirically lead to differential treatment. 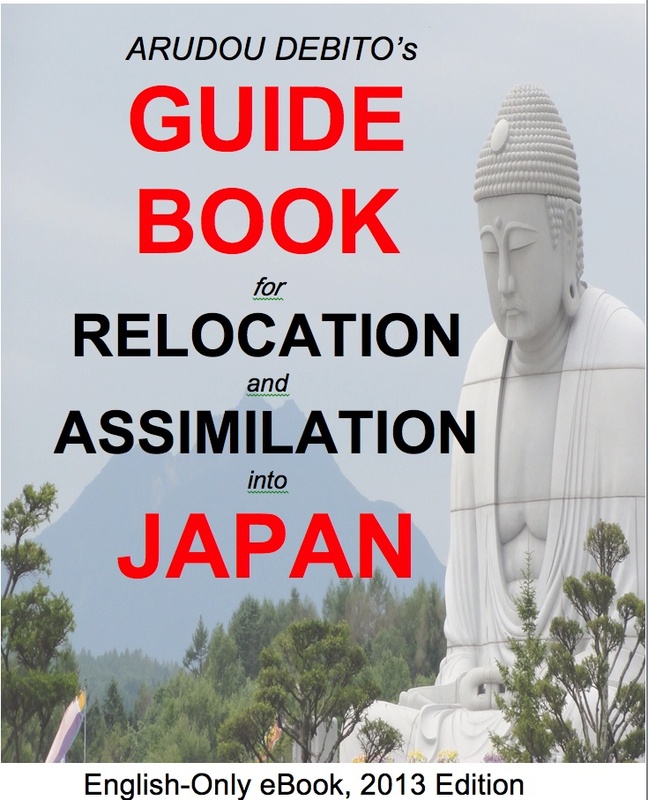 However, it does cover a lot of ground, and would be of interest to a wide audience, from the casual reader interested in learning about the racial dynamics in Japan, to researchers with area studies interests in Japan and/or substantive field interests in international migration, ethnic and race studies, citizenship and human rights, and advocacy politics at both the domestic and international levels. Arudou argues that Japan’s passive stance to addressing racial discrimination is “the canary in the coal mine” regarding its openness to “outsiders” (xxiii), and by starting this conversation, he addresses “the elephant in the room” that needs to be reckoned with for Japan to navigate its way through its impending demographic challenges. Foreign residents in Japan may be at a disadvantage in some ways, but they are by no means powerless nor on their own, says Tokyo-based nonprofit organization Asian People’s Friendship Society (APFS). In a recently launched program series, the organization is nurturing a new group of volunteers it calls “foreign community leaders” who will assist fellow non-Japanese trying to navigate life amid a different and foreign culture. “Long-term foreign residents have incredible know-how on how to get by in their everyday lives in Japan,” says Jotaro Kato, the head of APFS. “I want people to know that there are foreigners out there who can speak perfect Japanese” and who can provide guidance if needed. Targeting long-term foreign residents with a high level of proficiency in the Japanese language, the 30-year-old organization is spearheading the project to groom such veterans so they can help newcomers overcome a variety of everyday obstacles, such as dealing with language barriers, cultural differences and visa conundrums. Particularly thought-provoking, she said, was a lecture on Japanese school education, which taught the class that the government essentially discriminates against foreign pupils by not making their enrollment compulsory, but merely “allowing” them to go to public school on a voluntary basis. “This is the root of many problems, I think,” she said. Grauniad: The incident follows an accusation by South Korean tourists that a sushi restaurant in Osaka deliberately smeared their orders with eye-watering quantities of wasabi, a pungent condiment that should be used sparingly. The restaurant chain Ichibazushi apologised but denied accusations of racism, saying its chefs had decided to use excessive amounts of wasabi after other foreign diners had previously requested larger dollops for added piquancy. “Because many of our overseas customers frequently order extra amounts of pickled ginger and wasabi, we gave them more without checking first,” the chain’s management said. “The result was unpleasant for some guests who aren’t fans of wasabi.” It was not clear how many such incidents – labelled “wasabi terrorism” on social media – had occurred, but some disgruntled diners posted photos of sushi containing twice as much wasabi as usual. At the end of Debito.org’s 10th Anniversary as a blog (and 20th Anniversary as a website archive), here’s the best Christmas gift ever: a facelift and a cleanup! (Thanks for that!) You probably noticed how slowly Debito.org loaded in recent months. That was because we had issues of memory and backlog buildup over a decade (to the tune of 55GB of it), as well as a customized WordPress theme that was so obsolete it alone took fifteen seconds to load! That’s why the revamp of the site’s appearance. Of course, we kept the “Debito.org” typeface banner (that’s always been there, however crufty), but hopefully the site is easier to load and read now. COMMENT: Once again, the JT comes out with an insightful article about the difference between appearance and reality, especially in Japan’s labor market. 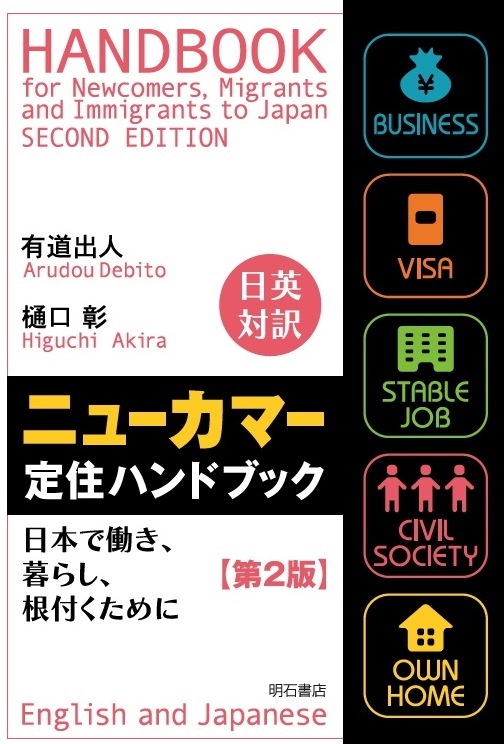 Okunuki Hifumi tells us about how Japan’s most-coveted job — civil servant (!) — actually comes with at a price of fewer rights under Japan’s labor laws. Depending on your status, bureaucrats lack the right to strike, collectively bargain, or unionize (not to mention, as it wasn’t in this article, engage in “political activities”). And that can severely weaken their ability to fight back when labor abuses occur, or, as schoolteachers, to educate students about politics. Debito.org has talked at length about the “Great Gaijin Massacre of 1992-4,” where National and Public Universities decided to terminate en masse (at the urging of the Ministry of Education) their foreign faculty who were over 35 years old 1) as a cost-cutting measure, and 2) because they could — since most NJ were on contract employment (meaning one could be “fired” through a simple contract non-renewal), while full-time J faculty were almost always employed on permanent non-contracted tenure from day one. “Academic Apartheid” is what respected scholars such as Ivan Hall called it. And conditions have gotten no better, as (again through government design) more full-time Japanese faculty are being put on contract employment themselves, while far fewer NJ are being granted permanent tenure. Now we have a new looming massacre. The labor laws changed in 2013 to require employers to stop keeping people on perpetual renewable contract status. After five years of employment, employers must switch them to permanent noncontracted status. Well, the five-year mark is April 1, 2018, meaning there is an incentive for employers to fire people before they hit a half-decade of employment. Debito.org said before that that would happen, and there were some doubters. But here’s the first published evidence of that happening, at Tohoku University, courtesy of our labor law expert at the Japan Times. After all these years of service, even less job security awaits. This month’s installment delves into the “Tohoku University massacre.” This prestigious, famous and respected college with a long history and tradition has revealed that it plans not to renew the fixed-term contracts of up to 3,200 employees when they next come up for renewal. This kind of move — effectively a mass firing — is rare in Japan, and the plan has already had a huge impact in education and labor-law circles. Debito: Here’s a submission from Debito.org Reader CR, about the application of the “five year rule” of Japanese Labor Contract Law in Japan’s blue-chip companies. Although the 2003 revision in the law was meant to say, “five years of contract renewals means you must rehire the person as a regular employee (sei sha-in) without a contract” (which would end the exploitative system of unstable employment through perpetual contracting), it’s had the opposite effect: encouraging employers to cap the contracts at five years. Meaning that starting from April 1, 2018, five years since the revised Labor Contract Law took effect, we’re expecting to see a mass firing of Japan’s contract laborers. And then, stunningly, Trump’s victory in the “rigged” (Trump’s word) Electoral College became a mathematical certainty. By the time the cameras turned to Clinton’s victory bash and showed delegates slinking out, I had too. Back home, I watched as Clinton conceded even before all the networks had called it for Trump. I felt betrayed. And insomniac. Michener: “On election day 1968 the United States once again played a reckless game with its destiny. Acting as if it were immune to catastrophe, we conducted one more Presidential election in accordance with rules that were outmoded and inane. This time we were lucky. Next time we might not be. Next time we could wreck our country. That was in 1969. Looks like, as of today, December 19, 2016, the catastrophe has finally happened. Hi Blog, and welcome to 2017. And to start this year (which I am not at all optimistic about), let’s try to talk about two bright sides to 2016. OSAKA — A Nankai Electric Railway Co. conductor was dealt a verbal warning after apologizing to Japanese passengers for crowding on a train heading to Kansai International Airport with a large number of foreigners, it has been learned. “Today there are many foreign passengers aboard and it is very crowded, so we are inconveniencing Japanese passengers,” the conductor was quoted as stating in the announcement. 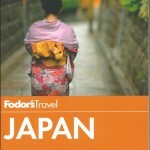 “Whether people are Japanese or non-Japanese, the fact remains that they are our passengers. Language that sets them apart is inappropriate,” a company representative said. The incident follows an accusation by South Korean tourists that a sushi restaurant in Osaka deliberately smeared their orders with eye-watering quantities of wasabi, a pungent condiment that should be used sparingly. The restaurant chain Ichibazushi apologised but denied accusations of racism, saying its chefs had decided to use excessive amounts of wasabi after other foreign diners had previously requested larger dollops for added piquancy. It was not clear how many such incidents – labelled “wasabi terrorism” on social media – had occurred, but some disgruntled diners posted photos of sushi containing twice as much wasabi as usual. Again, the fact that this incident made news, and (Japanese) social media thought this was worth criticizing is a good thing. The restaurant acknowledged and apologized. A railway company in Japan has reprimanded a conductor who blamed the large number of foreign tourists on a crowded train for inconveniencing Japanese passengers. The outburst will have done little to help Japan’s attempts to become a more welcoming destination for foreign visitors as it prepares to host the 2019 rugby World Cup and the Tokyo Olympics a year later. Japan’s successful pitch for the 2020 Games made much of the country’s reputation for omotenashi– traditional hospitality and service. But there was precious little omotenashi on display when the conductor addressed passengers on a Nankai Electric Railway express train bound for Kansai international airport near Osaka on Monday morning. “There are many foreign passengers on board today … this has caused serious congestion and is causing inconvenience to Japanese passengers,” said the conductor, a man in his 40s. 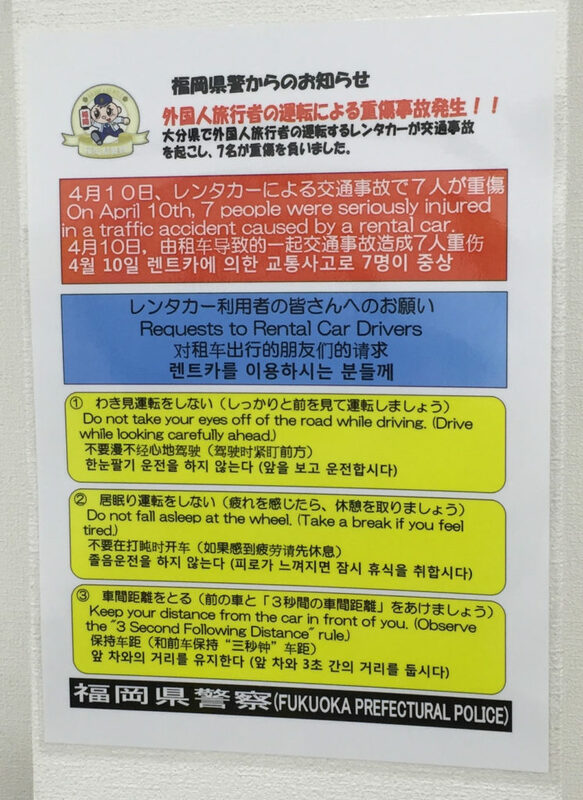 A Japanese passenger reported the incident to a station attendant at the airport, questioning whether the conductor’s wording was acceptable. The conductor, who has not been named, later defended his choice of words: “I heard a male Japanese passenger at [another station] yelling: ‘All these foreigners are a nuisance,’” the Mainichi Shimbun quoted him as saying. “I made the announcement to avert trouble and had no intention of discriminating [against foreign passengers],” he said. Whether or not the incidents resulted from misunderstandings, the potential for friction between visitors and local people is likely to increase as Japan gains popularity as a tourist destination. A record 2.05 million people visited the country in August, according to the Japan Tourism Agency, including 677,000 from China, 458,900 from South Korea and 333,200 from Taiwan. Japan’s government hopes to double the number of foreign visitors to 40 million in 2020, and expects a tourism windfall of 8tn yen (£63bn).